Amanda Nunes defends her UFC Women's Bantamweight belt against challenger Raquel Pennington in the main event of UFC 224. This is the third defense for Nunes since she won the belt from Miesha Tate in July 2016. In her last fight, she decisioned Valentina Shevchenko in September of last year. Standing in her way is an improving contender in Pennington, one who has her sights set on scoring a huge win. Who can come out ahead in this one? Let's see what we can come up with in this Nunes-Pennington prediction piece. On paper, Pennington might not be the most-compelling title challenger. Her record of 9-5 and the memory of her dropping fights to Jessica Andrade and Holly Holm are still in people's minds. Still, those were split decision losses to a pair of top fighters. And as we see with Flyweight champion Rose Namajunas, who beat a feared champ with a 6-3 record, these fighters can improve. In other words, some disappointing losses and a 9-5 record shouldn't be so damning. What is a bit concerning is that she hasn't fought since November 2016, when she beat ex-champ Miesha Tate. It was her fourth win in a row and again, the two times she has come up short in the UFC were only by a hair. Pennington, 29, is an accomplished fighter. A winner of TUF 18, she is improving. It's important to keep in mind that she has risen through the ranks so fast in a time when the sport was still in its infancy stages for women. As a result, she was fighting opposition like Cat Zingano and Leslie Smith mere months after turning pro. And when she joined the UFC, she was thrown in against Andrade in just her second fight, while taking on perhaps the most-accomplished female fighter of all-time in Holly Holm two fights later. It was a trial-by-fire and considering that she was still young in her development as a fighter, she held her own fairly well. The point is that those who think the dye is cast on Pennington based on past outings might be surprised. Pennington's improvement was illustrated in a rematch win over Andrade, a submission victory that she followed with wins over Bethe Correia, Elizabeth Phillips, and then Tate. But while she has faced good strikers and fighters who can compete on the ground, she has yet to face an opponent like Nunes, a fighter with BJJ expertise who packs immense power in her strikes. Nunes is a scary proposition for any female fighter, having left a trail of broken dreams in her wake. Nunes is a daunting task. Her rise to the top was impactful, as she destroyed Miesha Tate and Ronda Rousey in a total of four minutes. When the punches start flying, hers get there with extreme suddenness and tremendous velocity. Granted, we are still at a young point in the evolution of women's MMA, but if there is a more-dangerous puncher, I haven't seen it. And she's not a one-trick pony, having scored submissions over Tate and Sara McMann, while starching fighters like Rousey and Germaine DeRandamie. And with a pair of decision wins over a massively-accomplished fighter in Shevchenko, she has shown she can hang in there in a drawn-out battle and still find her way into the winner's circle. Nunes is a shining example of perseverance. She has improved in her craft over time—something Pennington is looking to duplicate. She lost on strikes both to Cat Zingano and Alexis Davis, before hitting her stride. At one point an also-ran in the women's bantamweight class, she rose to the top. And when she did, it was in ultra-emphatic fashion, with the quickie stoppage wins over Rousey and Tate. She is a champion who has peaked and she has started to compile the kind of resume that will cement her among the all-time greats. There are no constants in women's MMA. Again, it's been barely a decade that this has even been a viable sport for women. It makes sense that there could be abundant turnover at the top-spot. Rousey was as dominant as she could possibly be, with a string of challengers decimated in mere seconds. But before you knew it, the sport had passed her by. So we can't be hypnotized by fighters, regardless of how destructive they may appear to be. At the same time, I see Pennington as being part of the old-guard. While there are a lot of things she does well and she has improved over the years, I don't see her doing anything quite well enough to unseat a champ on Nunes' level. I'm taking the champion in this one. 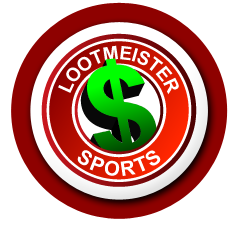 Loot's Pick to Win the Match: I'm betting on Amanda Nunes at -470 betting odds. Bet on UFC 224 for FREE by taking advantage of a massive 100% sign-up bonus on your first deposit of $100 to $500 at GTBets! In middleweight action, Jacare Souza and Kelvin Gastelum get it on in a 185-pound three-rounder where the stakes are very high. The winner of this bout could be in line for a title shot, making this a very important middleweight scrap. Both are coming off good wins. For Souza, 38, he is coming off a TKO win over Derek Brunson in January. The win showed he is still a force. Gastelum, meanwhile, is coming off a scorching KO over ex-champ Michael Bisping in November. The 26-year old is looking to take another big step toward title glory in this matchup. This should be an excellent battle between two talented 185 pounders who both bring a lot to the table. Gastelum is a dozen years Jacare's junior. Fighting is a young man's game, regardless of how many older fighters have succeeded in this sport. His youth is a factor here, being that Jacare is more of the constant factor, while Gastelum continues to grow as a fighter. It's been a mixed bag. To his detriment, he has dealt with several issues with weight, while forfeiting a big win over Vitor Belfort due to a failed drug test for marijuana. On the upside is a vastly talented and multi-faceted fighter, one now fighting at a more comfortable 185 pounds. He won his season of TUF at just 21 and has already scored some huge wins, including his last fight against ex-champ Bisping. Gastelum is a modern fighter, capable of a variety of different things. He has a wrestling background and is developing his BJJ. His hands are indeed very nice, with the naturalness of a boxer who has been doing this for a long time. When he fights, he is very fluid and slick. His calmness is on another level, perhaps partially responsible for his ability to take such a good shot. He has experienced some setbacks, but no one has gotten that far striking with him. Gastelum is light on his feet, allowing him to effortlessly change distance, control range, and avoid strikes. He might not have tremendous size at 185, but he has been fighting better. His timing looks improved, as does his accuracy and movement. And while Jacare represents a level of menace on the ground that he might not have experienced before, Gastelum has shown he is no pushover on the mat. There might still be a level of doubt with Gastelum for some. Last year, he was submitted by ex-champ Chris Weidman. And in 2015, he lost a pair of split decisions. But for a young guy to lose narrowly to Tyron Woodley and Neil Magny is no disgrace. Still, some might look at his triumphs and see wins over fading forces in Nate Marquardt and Johny Hendricks, a TKO over a Tim Kennedy who was on his way out, a KO over a faded Belfort, and a KO over a Bisping who was three weeks removed from a punishing loss to GSP. His resume might look better than it really is. It was important for Jacare to rebound from the loss to current champ Robert Whittaker in April of last year with another KO over Derek Brunson in January, repeating a KO over the same opponent in 2012. Other than a split decision to Yoel Romero, that was his only loss since 2011. A former champion in the Strikeforce organization, he has beaten a slew of top-line middleweights over the years and after some ups and downs in the UFC, looks to nose closer to a title shot with a win over Gastelum. With recent TKO wins over Brunson and Belfort, there is another dimension to Souza's fighting to go along with his extreme BJJ ability. With 17 career submissions and multiple accolades in the world of Brazilian Jiu-Jitsu, he is one of the world's most-accomplished ground forces. And if Weidman was able to slap a fight-finishing choke on Gastelum, Souza would seem to be in a good spot here. But that's taking an optimistic viewpoint and with Jacare having been stopped three times on strikes, one could take an alternate viewpoint. At the end of the day, however, Souza has been stopped on strikes just once in the past decade. Unlike Gastelum, Souza doesn't have many more tomorrows as a fighter. This means a lot to him and one would expect him to prepare and perform accordingly. Back against the wall or not, I think this is the time we start to see Gastelum put together the wins needed to be given a title shot. He's the new wave and I see youth being served in this bout. At the end of the day, I see Gastelum having a better chance of surviving what Souza does well than the opposite. I'll take Gastelum to win. Loot's Prediction to Win the Fight: I'm betting on Kelvin Gastelum at +110 odds.